National Nut Day celebrates the huge nutritional and economic value that comes in small nutty packages. Almonds, pistachios, cashews, hazelnuts, pecans, walnuts – it’s easy to be nuts about nuts. Among the most nutritionally concentrated of human foods, edible nuts are packed with protein, energy, minerals, vitamins and antioxidants. In addition to their health benefits and significance for global food security, nuts are vital sources of income for millions of rural families. Here are some of the diverse ways that TechnoServe works with farmers and businesses to unlock the rich potential of nuts. 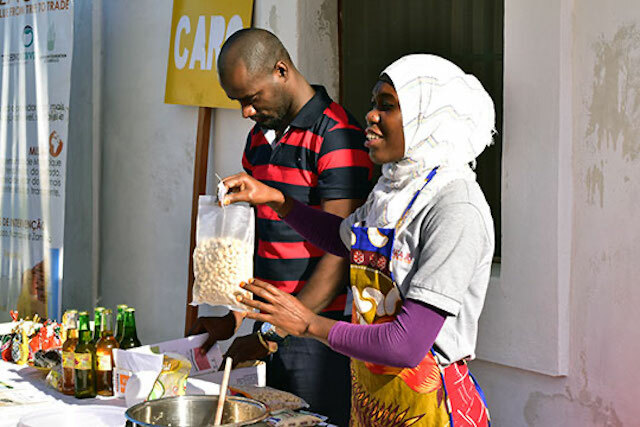 At a MozaCajú cooking demonstration event on October 8, Mida Juma (right) and Anacleto Mart demonstrate how to make sweet and spicy cashew treats that can be sold in local Mozambican markets. In Mozambique, cashew is more than just a fun snack – it is a delicious and nutritious food enjoyed by adults and children. With nearly 1 million households growing cashew as a cash crop, the versatile nut is being increasingly integrated into traditional Mozambican cuisine, while also inspiring new and innovative recipes. Test your nut knowledge with our National Nut Day quiz! Mida Juma, born and raised on Ilha de Moçambique (“Ilha”), a historic island in the northern part of the country, has grown up cooking dishes with cashew nuts, including the curry-like matapa de siri siri, a local favorite (see page 11 in our cashew recipe booklet). Mida also loves to experiment with her cooking and discover fun, new ways to add cashew to her diet. As Mida explained at a cooking demonstration event held earlier this month on Ilha, cashews can be incorporated into a wide range of sweet and savory dishes – from papas (a local dish similar to oatmeal) to samosas. The community event was organized by TechnoServe’s MozaCajú team in order to teach recipes that could be prepared for sale in the local market, as well as nutritional recipes that could boost health at home. Through discussions led by TechnoServe business advisor Anacleto Mart, attendees learned about commercialization techniques and the nutritional content of cashews. MozaCajú, a three-year initiative funded by the U.S. Department of Agriculture, is working to boost the productivity and competitiveness of the Mozambican cashew industry and create shared value from tree to trade. As part of these efforts, the project is linking Mozambican cashew processors and farmers with key international buyers. Along with various community members and business owners, the cooking event was attended by representatives from Caro Nut, a nut roaster and wholesaler that supplies cashew products to Costco, a major U.S. retailer. Market demand for these protein-rich nuts is growing, as consumers around the world discover the joys of snacking and cooking with cashews. Learn more about how MozaCajú is harnessing this global demand. Richard Gathogo Mutahi tends to his macadamia trees. 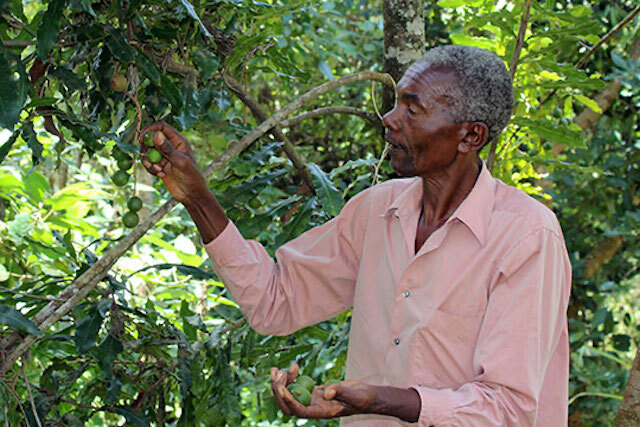 He sells his harvest to Kenya Nut, one of the leading macadamia processors in the world. Richard Gathogo Mutahi farms two acres of land in the central region of Kenya together with his brother. He grows coffee and avocadoes, but his primary source of income comes from his 18 macadamia trees, which are relatively easy to tend. He sells his nuts to the Kenya Nut Company, a leading processor of macadamia and cashew nuts, which sources from approximately 100,000 smallholder farmers across Kenya. In 2014, Kenya Nut began working with TechnoServe to improve efficiency in its supply chain through an innovative mobile platform called Connected Farmer. The solution was developed as part of the Connected Farmer Alliance, a three-year public-private partnership between the U.S. Agency for International Development (USAID), Vodafone and TechnoServe. Connected Farmer allows Kenya Nut to register farmers, send them timely information, and offer safe and reliable digital payments. By receiving SMS messages with price information and agronomy tips on his phone, Richard is able to make more informed decisions about his crops. He is particularly happy that Kenya Nut introduced mobile payments, which make it easier for him to access farming inputs when needed. Feeling confident about the long-term earning potential of macadamia nuts thanks to his mobile-enhanced relationship with Kenya Nut, Richard plans to plant 12 more macadamia seedlings this season. Damata Shihadu sorts shea nuts to be fed through a depulping machine. The end product, shea butter, is widely used in cosmetics. 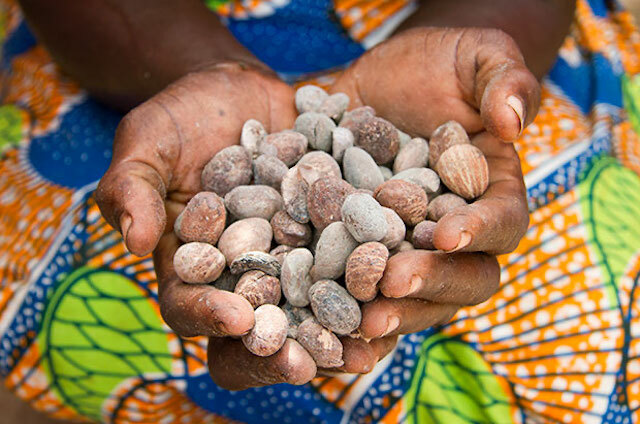 An estimated 3 million rural women in Ghana rely on the shea nut for their livelihood. 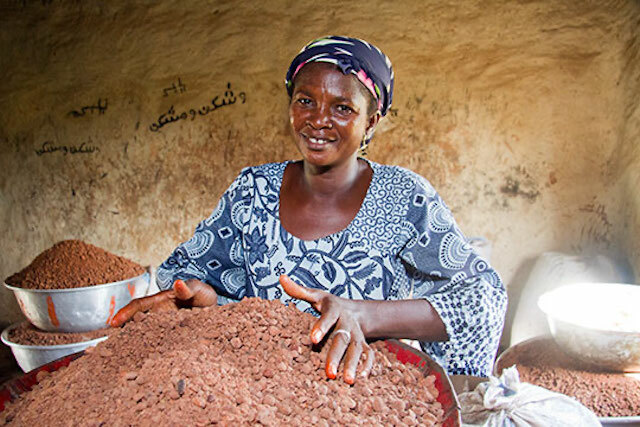 Seeking to increase the incomes of 4,000 women in northern Ghana, TechnoServe worked with shea-producing and processing groups to provide training on shea storage and processing, as well as business and financial management skills. The project linked the women to domestic and international buyers, and supported the process of organic certification. Applying improved practices, project participants like Damata Shihadu, a member of the Nyebu Be Yoona shea cooperative, were able to triple their production of shea butter and increase their income by more than 400 percent. Many of the women’s groups opened savings accounts and began investing their profits to ensure the sustainability of their business. Test your nut knowledge in our Nut Day quiz.